Cat hunting instincts are something that kitty parents can’t ignore. So, how do you engage your cat’s urge to hunt? And why are some cats better hunters? As you glance over at your cat lounging placidly in the late afternoon sun, you might not realize that a mighty hunter lurks just below that fluffy surface. 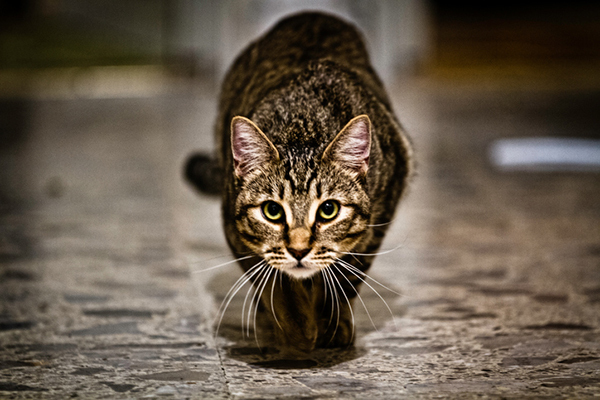 Cats were born to hunt, although most domestic pet cats who live indoors rarely get to indulge that cat hunting instinct. Cat hunting instincts shouldn’t be repressed or ignored. Photography ©Daniel Rodriguez Tirad | Thinkstock. Much like animals at the zoo, cats — especially indoor cats — need stimulation and environmental enrichment. Some cats simply become bored at home, but others become frustrated by the inability to do what comes naturally: explore, exercise and hunt. That frustration can lead to behavioral issues at home. “My theory is that every single clinical behavior problem or emotional disorder in cats will respond in some way to environmental enrichment alone,” Dr. Radosta states. 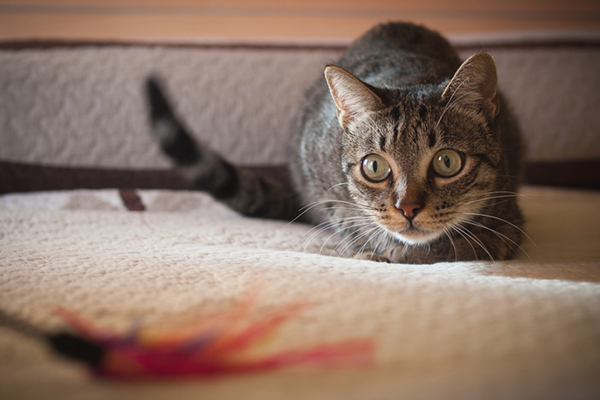 Since most of us don’t want our pet cats to actually hunt and kill live animals, using play and toys to tap into your cat’s innate desire to stalk, chase, pounce and kill is a great way to enrich her environment and improve her overall well-being. 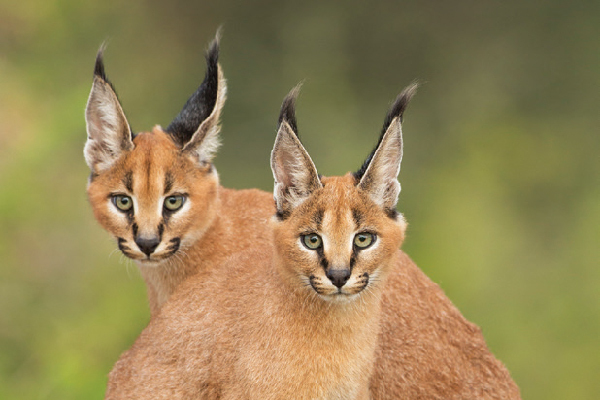 Why Are Some Cats Better Hunters Than Others? It’s important to address your cat’s hunting urges without aggression. Photography ©sjallenphotography | Thinkstock. All pets need to be stimulated and engaged, but cats need environmental enrichment the most. Dogs go for walks and trips to the park, and many accompany their owners to restaurants, coffee shops and even on vacations. Cats not so much. Pet toy companies understand this and are constantly coming out with innovative new toys to engage cats at home. Every cat is unique. One cat might find a particular toy fun and exciting, but another cat might ignore it completely. Forget the traditional jingle balls and toy mice and try out a few of the fancier, motorized toys that move, triggering your cat’s hunting instinct. Dr. Radosta’s cat Chewie loves the Catty Whack by OurPets, which randomly moves a feather in and out of various holes in the toy, keeping cats on their toes so they can try to snag it. Chewie also adores his Hexbug mouse, which is basically a robotic mouse — as close to the real thing as you’d like your cat to get! Other toys on the market release treats or food when your cat plays with them, which makes him “work” for his food much like he would need to do if hunting in the wild. Feather wands and fishing pole cat toys are less high-tech, but real feline crowd pleasers. Bring them out for short play sessions and hide them away when you’re not using them to keep your cat excited about the hunt. For some cats, simply setting up a nice spot to watch birds or squirrels outside can be entertaining, but make sure your cat doesn’t find the sight of prey outside too frustrating. 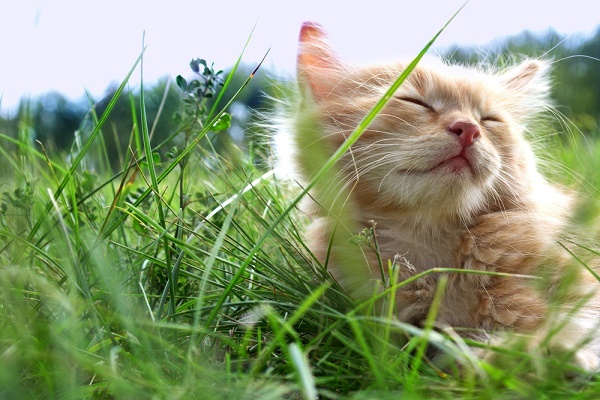 “Some cats can watch a little bird all day outside the screen and not at all be upset that they can’t get to it. They just think of it as television,” Dr. Radosta says. Finally, a laser pointer can be a fun way to harness your cat’s hunting behavior, but use it with caution. 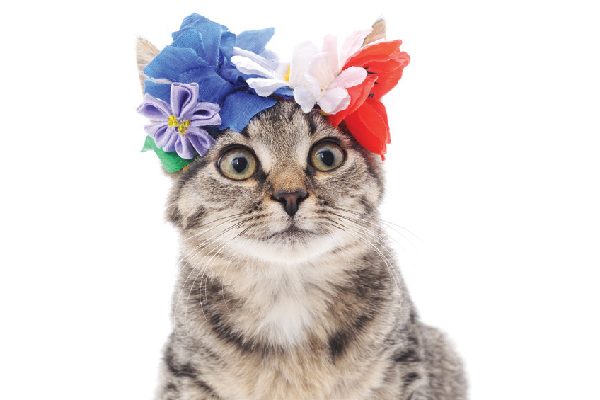 Never shine the light in your cat’s eyes — it can do serious damage. And observe your cat to makes sure he’s not getting too frustrated because he can’t “catch” the dot. If your cat gets too frustrated, skip the laser games and play with some actual toys that your cat can physically capture. 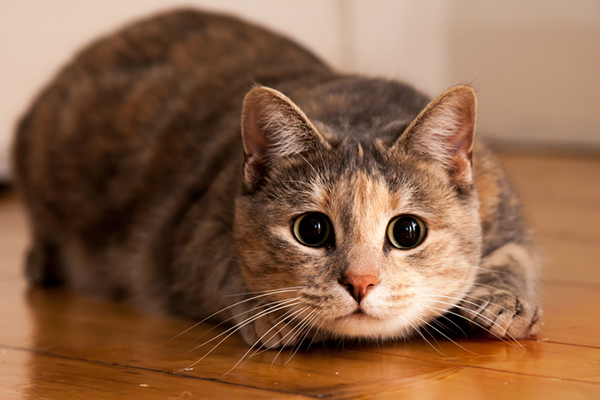 Tell us: How do you engage your cat’s hunting instincts? Do you have a cat who’s a really good “hunter”? 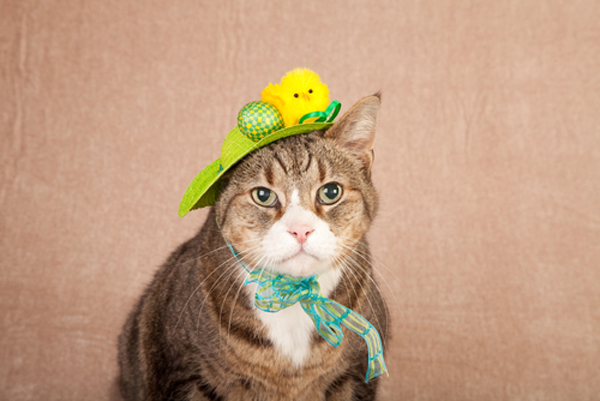 Thumbnail: Photography ©Ramonespelt | Thinkstock. We adopted/rescued our cat in April,2018. 2 issues- 1-He was very skinny when we brought him home. He begs CONSTANTLY for food. Wondering if a former owner gave him table food as he begs and we cannot keep him from our counter and table when food is out. We cannot leave food out for him to graze all day. We feed him at 6am and 6pm every day. He wakes us at 4am yelling for food. We have tried a little wet food at night, as the vet recommended it may hold him longer. Didn’t work. Issue number 2-The bigger problem, is he now treats me in particular, as prey. This is a new development. I initially used a water spray bottle to deter behavior as well as scolding and pushing him away, but I think this increased the aggression. When I push him away, he comes back stronger and hisses. I now stand still, or shield myself with a towel. VERY uncomfortable as I feel stalked and on edge. This behavior seems to be its worst, when I am getting ready to leave for work, when I am getting ready for bed and now sometimes first thing in the AM, before and after he eats. I try to engage him with toys to divert his energy. Sometimes we put him in his crate if needed(he likes his crate and sometimes goes in on his own.) Not sure what to do- About ready to bring him back to the Humane Society. Will not bring another cat in to keep him company. We have enough going on. He started wearing a pheromone collar a week + ago. Don’t think it has helped at all. Any recommendations are great appreciated. Love him to pieces when he is sweet, but quality of life is suffering here. My indoor cat is about five years old, and he loves us to play with him every day. We have a soft toy fish, with wings. It is attached to the end of a piece of string, and it flaps about like a real creature when jiggled. He also has a cardboard box, where we leave the fish when not in use. Every day he will come and sit in the box to signal when he is ready for a game. We swish it around, and move it very slowly along the floor. He will watch it very closely and carefully, get into crouch position, wiggle his bottom, and choose his moment to leap at it with all four paws in the air. He never gets bored with the game, and it is a sweet way to bond. Paul goodness why would you prefer a “story” to the truth,…? That was funny! My 18 yr old cat hasn’t wanted to play with anything more than about 30 seconds in 3 or 4 years now. Makes me a little sad. Deborah, your cat is 18 years old. That should make you very happy! ???? I know what you mean, though. My previous cat departed at 20, and between arthritis in her back and some kidney issues, she didn’t want to play in her last few years. I have a 26 year old cat who is the most playful of all 3 cats. She doesn’t play long or hard, but she does love to chase things. The other few preset live prey. They almost never hurt the lizards, mice oe birds, but get so much joy out of watching me try to catch them. They then get released outside. The hardest ones were the humming birds my 16 year old girl keeps bring in. Her brother, also 16, prefers the mice and lizards. Error in sentence. Should read “The other two prefer live prey.” It changed when I hit send. Sounds like the laser got him in the eye and went straight to the brain! Has to be joking! I bought a laser pointer built into a toy mouse. I figured that after my cat had chased the dot for a while I could give her the mouse to give her the feeling she’d caught some prey. So she chased after the dot until I eventually tossed the mouse to her. She picked it up and managed to press the activating button. She shook the mouse to stun it, making the dot jump around. Very amusing. Until she managed to point the dot out of the window. At a passenger jet that was coming in to land at the nearby airport. She must have blinded the pilot and co-pilot, because it crashed killing all on board. Really? Please name the date and place where this occurred so it can be researched. News stories (newspapers, TV, radio…) would help me (and others) believe your story. Did not happen, cat lasers max out at 20 feet. So no pilot saw the laser or crashed the plane. Hope this is you trying to be funny Paul? I also hope you are playing with your cat, for reals. Good grief, Paul. What were you smoking or drinking when this occurred? You are a hero. I hope you know that.